seasonal fruits that begin in the month of May. It is a very rich source of potassium, vitamin C and E. It mainly controls heart rate and blood pressure and asthma. 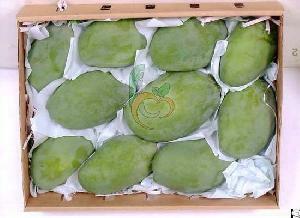 Mango fruit contains iron content that helps to reduce pregnant women and people from anemia. Variety: Tymor, Awees, Indian, AlFons, Zebdia, Sukaria, Kihat, Senara. Packaging: 5 Kg Standard Carton. Shipping: Air Shipment & Sea Shipment.